Eddie Brock and the Venom symbiote are about to get a significant power boost. 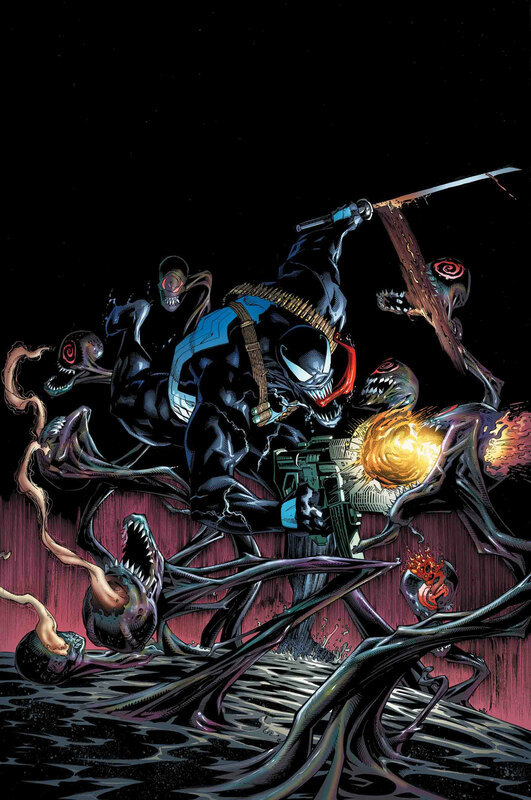 Marvel’s new Venom ongoing series has revealed one earth-shattering revelation about the symbiotes after another, and the creative team of Donny Cates and Ryan Stegman are about to raise the stakes yet again. Solicitation information for Marvel’s September 2018 releases tease that Brock and the alien symbiote are about to add new powers to their lethal arsenal in the pages of Venom #6. The new ongoing series has been a clear labor of love for the creative team, who kicked things off with the shocking reveal of a god of symbiotes that has remained dormant on Earth for centuries. Based on the solicits for the upcoming issue, it looks like Brock and the symbiote god are about to become a lot closer, even as an ancient evil will rise to challenge New York City’s lethal protector. The post Marvel’s Venom Is Getting Some New Super Powers appeared first on CBR.